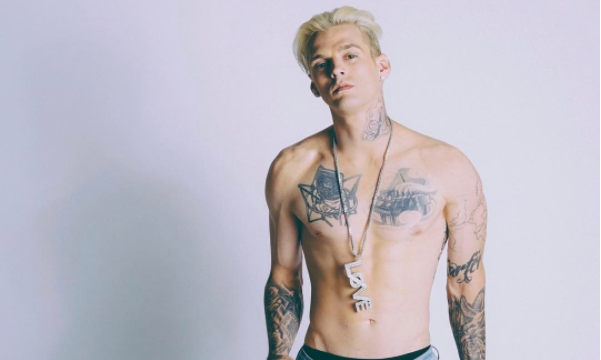 Aaron Carter is proclaiming his love again for a blonde, but this time it’s not Hilary Duff! According to EOnline.com, Chloë Grace Moretz said in an interview that her childhood crush was Aaron Carter, and the pop singer had to respond. The pop singer replied back to the actor via Twitter and said the crush was mutual. Carter also asked Moretz out for dinner. No comment has yet been made from Moretz, but maybe the Neighbors 2: Sorority Rising star may take Carter up on his offer! This celebrity news leaves us wondering if these two may become a future celebrity couple if they do go out to dinner together! What are some creative ways you could ask out someone your interested in? Hillary Duff appeared on Watch What Happens Live with Andy Cohen on Wednesday, Oct. 8 and, according to USMagazine.com, her ex Aaron Carter became a topic of conversation. Though the two haven’t “dated” since age 13, Carter has now recently been trying to rekindle the love through Twitter. As Cohen asked questions about the topic, Duff mentioned she felt “uncomfortable,” saying it was a long time ago. What do you do if you’re getting unwelcome romantic attention? The tweets just keep on coming! According to UsMagazine.com, singer Aaron Carter recently tweeted his romantic feelings about starlet Hilary Duff publicly. The former child television star responded to the fanciful tweets during a BuzzFeed interview saying, “He does, I keep seeing that, that he keeps doing that. I don’t know how I feel. I mean, that was so long ago, and obviously I’m still married, and I have a baby and we kind of just… don’t know each other. So, yeah…” Duff is married, but recently separated from Mike Comrie, the father of their 2-year-old son. Duff talked about her relationship with the former NHL center, saying, “I mean, if there wasn’t a chance for getting back [together], I think we would’ve filed for divorce.” The two exes have been spotted spending time together since the split. What are some ways to nicely turn down someone who is interested in you? There is a new addition to the musically inclined Carter family. Nick and Aaron Carter’s sister, Angel Carter recently got hitched to lover Corey Conrad at Newhall Mansion in Piru, California, on Saturday, February 8th, according to UsMagazine.com. The wedding celebration, which took place in the late afternoon, included many family and friends of the couple, except there was one important member of the Carter family missing, brother Nick. The Backstreet Boy singer Nick, 34, was supposed to walk his sister down the aisle, but didn’t in favor of attending a joint bachelor and bachelorette party, held in Las Vegas at the Palms Hotel and Ghost Bar with his own bride-to-be, Lauren Kitt. However, even though one of her brothers couldn’t make the wedding ceremony, her twin brother Aaron was in attendance and the two even shared a touching moment on the dance floor together as seen by a picture one of the guests posted. What are some things to consider around the timing of your wedding? …Dying to find out? Click here.